You are here: Home » Liquid assets: what’s in your cup? Liquid assets: what’s in your cup? Temperature’s soaring and you’re fading fast. You’re obviously in need of liquid refreshment but what do you reach for? 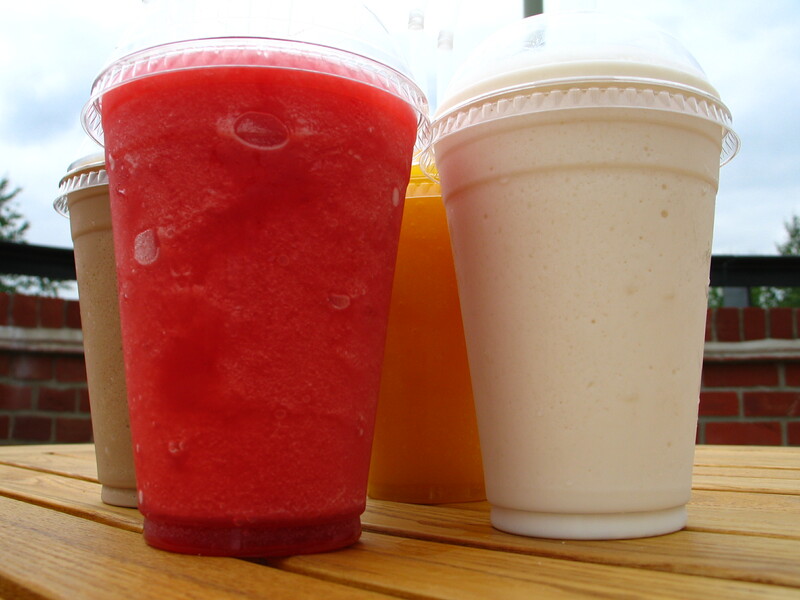 From water and juices to iced coffee, tea and frozen offerings, the choices are endless. So what’s the cost of your preferred thirst quencher? If it’s full of sugar, accumulating research says it could be take a toll on your health in ways you might not expect. It’s definitely a smart idea to take heed of your liquid assets, especially at this time of year when fluid consumption is at its peak. Sugar laden beverages, whether soft drinks, fruit juice or frozen offerings, may take a toll on your health. Besides effects on cardiovascular disease risk ( for example, high triglycerides and low levels of beneficial HDL-cholesterol), new research points to possible effects on cognitive decline. While the research may be preliminary in this area, there’s no doubt that these beverages also contribute to excess weight. On a very basic level, the way in which the sugar is consumed affects its impact on appetite. For example, if you’re hungry and you eat an orange containing natural sugar and other filling nutrients such as fibre, you will feel like you’ve eaten something. Drink that same amount of sugar in a glass of juice or in a soft drink and it won’t make a dent in your appetite. Also keep in mind there is a particular issue with cola drinks. The caramel coloring used in cola-type soft drinks is high in compounds known as advanced glycation end products, which may further increase insulin resistance and inflammation. And as a side note, these compounds are found in both sugar-sweetened and diet cola beverages. So how does your choice of beverage stack up? Here are some winners and losers. Okay it may seem boring but water can’t be beat for everyday rehydration. But if you’re involved in vigorous exercise for longer than an hour, especially in extreme heat, a sports drink, which also contains electrolytes with the fluid, may be what you need. But unless you’re taking part in endurance events, look for the low calorie versions containing less sugar now available. While milk isn’t often thought of as a way to combat dehydration, it’s actually a great choice because it not only contains fluid but also electrolytes lost through perspiration. And unlike sugary drinks, because of its protein content, it can also satisfy hunger at the same time. Brew your own for a great cost savings and a super way to avoid the high sugar content of most commercial offerings. Green tea offers a variety of compounds called flavonoids some of which have been shown to protect skin against UV damage (but don’t skip your sunscreen). Another flavonoid also boosts metabolic rates or calorie burning capacity – a way to increase the flagging energy levels that can occur when you’re slightly dehydrated. If you’re a fan of iced coffee drinks that pack a mighty caloric wallop, switch to a latte and reap the benefits of milk without all the sugar and fat. While there are variations in the nutrient content of milkshakes, there’s one that definitely takes the cake. Cold Stone Creamery, with many locations in the U.S. and just a few in the Canadian market (the size called Love it) Very Vanilla supplies 1210 calories and 126 grams of sugar. But not to be outdone, the more familiar Dairy Queen offering of a large Strawberry Malt also clocks in at 126 grams of sugar but has fewer calories at 910. While you may believe that you’re savvy by opting for lower fat milk when you go for some frozen offerings, think again. For example, a Starbucks Grande Caramel Frappuccino® Blended Beverage made with skim milk and topped with whipped cream supplies 350 calories. One made with whole milk? According to Starbucks, the calorie count is the same. But each contains a whopping 59 grams of sugar ( that’s just shy of 15 teaspoons), almost all of it added with just a small amount naturally occurring in the milk. A large Tim Hortons Iced Cappucino, made with cream, clocks in at 470 calories and 63 grams of carbohydrates. Maybe think of it as an occasional treat but as a way to cool off on a regular basis? Not a wise idea. Don’t be fooled by the green tea in these drinks. While choosing lower fat milk will save on calories, green tea chillers and lattes can supply between five to 10 teaspoons of sugar, depending on your choice. What are your beverages of choice during the summer? 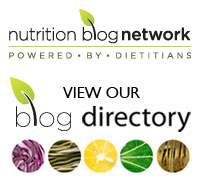 Do you have any low sugar favourites you would like to share in the comment section below? ← Are you wearing sunscreen today? What’s your vitamin D status?